Applied Kinesiology is based on principles of functional neurology, anatomy, physiology, biomechanics, and biochemistry as well as principles from Chinese medicine, acupuncture , and massage. It was developed from traditional kinesiology in 1964 by George G. Goodheart, a chiropractor from Detroit, Michigan. He observed that each large muscle relates to a body organ. A weakness in a muscle may mean that there is a problem in the associated organ. Goodheart found that by treating the muscle and making it strong again, he was able to improve the function of the organ as well. For example, if a particular nutritional supplement was given to a patient, and the muscle tested strong, it was the correct supplement for the patient. If the muscle remained weak, it was not. Other methods of treatment can be evaluated in a similar manner. Goodheart also found that painful nodules (small bumps) may be associated with a weak muscle. By deeply massaging the muscle, he was able to improve its strength. Goodheart’s findings in 1964 led to the origin and insertion treatment, the first method developed in AK. Other diagnostic and therapeutic procedures were developed for various reflexes described by other chiropractors and doctors. Goodheart considered AK to be a therapeutic tool that incorporates feedback from the body. He said that “applied kinesiology is based on the fact that the body language never lies.” He felt that the body’s muscles were indicators of disharmony. Once muscle weakness has been ascertained, the problem may be solved in a variety of ways. If a practitioner approaches the problem correctly, he believed, making the proper and adequate diagnosis and treatment, the outcome is satisfactory both to the doctor and to the patient. AK is not designed for crisis medicine. For example, an AK practitioner cannot cure cancer , arthritis, diabetes, heart disease , or infections . This therapy is designed to be a part of a holistic approach to preventive medicine. 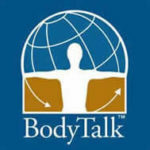 The goals of AK are to (1) restore normal nerve function, (2) achieve normal endocrine, immune, digestive, and other internal organ functions, (3) intervene early in degenerative processes to prevent or delay pathological conditions, and to (4) restore postural balance, correct according to AK, each muscle in the body relates to a specific meridian or energy pathway (acupuncture lines) in the body. These meridians also relate to organs or glands, allowing the muscles to provide information about organ or gland function and energy. The five areas of diagnosis and therapy for the applied kinesiologist are (1) the nervous system, (2) the lymphatic system, (3) the vascular (blood vessel) system, (4) the cerebrospinal system, and (5) the meridian system.